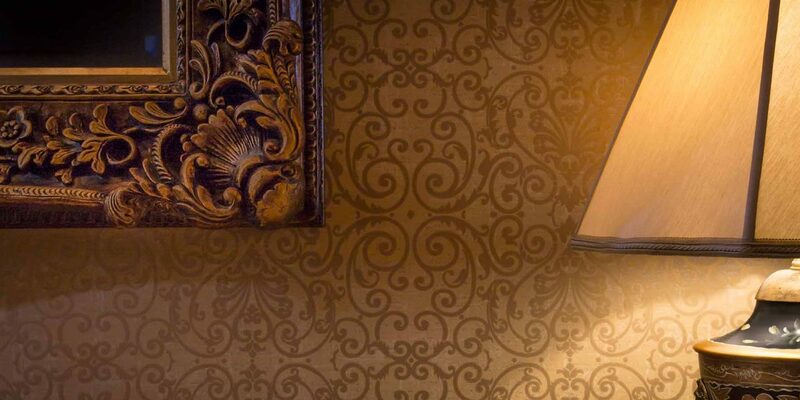 Discover a palate of soft tones of pink, beige and gold illuminated by one of three twinkling Victorian-beaded chandeliers in the Victorian, a luxurious Newport hotel room. 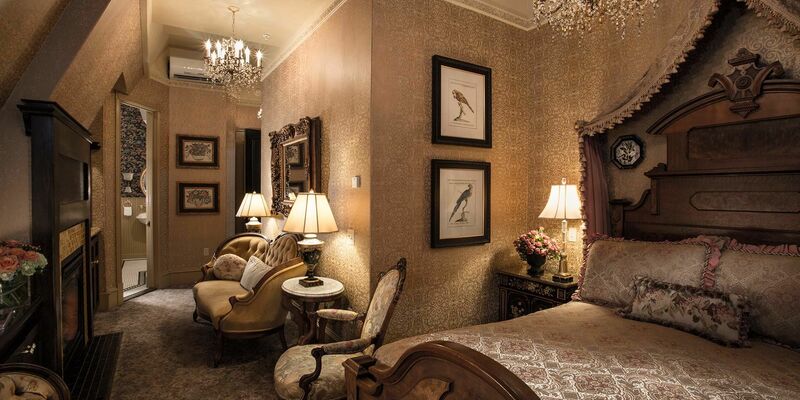 Enjoy a good night’s rest in our Newport Mansion hotel room among 19th Century style antique furniture from the Cliff Walk Manor and an expansive Victorian bed. 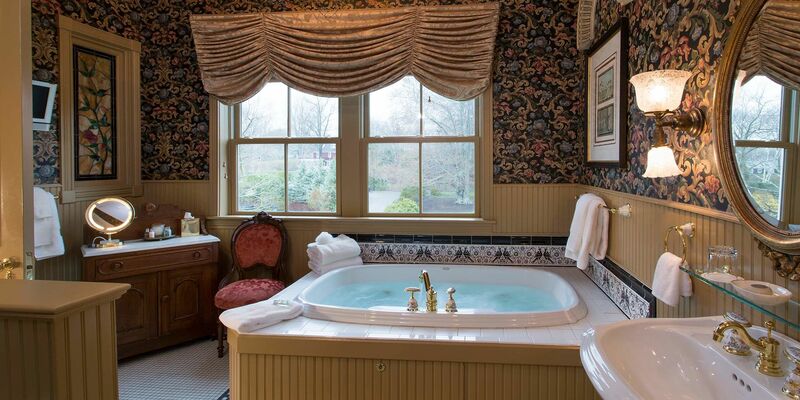 Find yourself immersed in rich brocade, tasseled valences and stunning views as you make your way towards a luxurious oversized bathroom featuring an antique stained glass centerpiece, pedestal sink, separate shower and double Jacuzzi. Discover one of the most unique Newport, Rhode Island suites at The Chanler. The Victorian Room is located on the third floor and requires climbing two flights of stairs. Please note: The Chanler does not have an elevator. 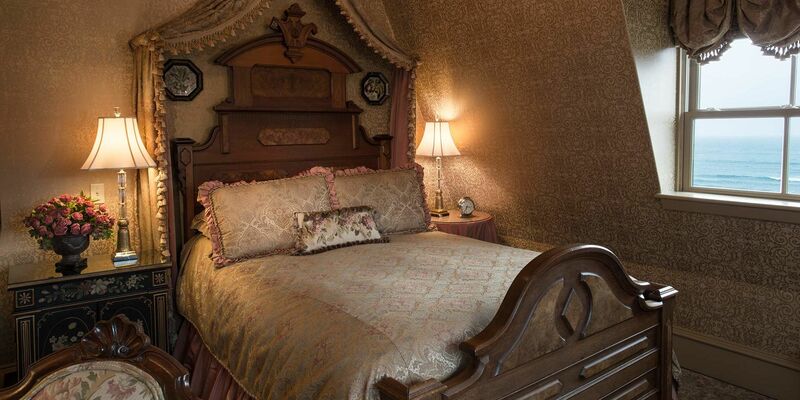 The Victorian Room offers romantic accommodations with views of the mansion’s front lawn and gardens on one side and of the Atlantic Ocean on the other.